An inquiry committee delving into the controversy regarding last year’s unofficial Undergraduate Student Council (USC) candidate party Blue Wish (Pureunbaram) has been undergoing construction. A research team led by Professor Minkee Choi succeeded in developing an amine-based carbon dioxide adsorbent that is significantly more resistant to oxidation than previously existing adsorbents. 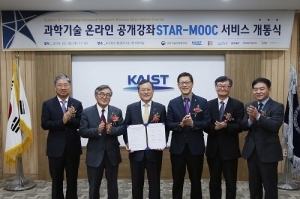 On March 8, representatives from KAIST, GIST, DGIST, UNIST, POSTECH, and UST gathered ifor the opening and agreement ceremony of STAR-MOOC, an online free lecture service. A joint research team led by Professor Jong Min Yuk and Professor Jeong Yong Lee has developed a cathode material that can be utilized in sodium-ion batteries. The researchers identified a group of cells, known as bystander immune cells, as one of the major causes of liver tissue damage in infected patients. Professor Yoonkey Nam’s research team from the Department of Bio and Brain Engineering has developed a technology that uses inkjet printing to create thermo-plasmonic interfaces capable of modulating neuron activity. 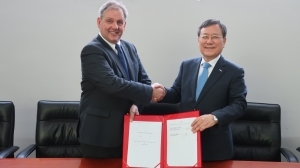 KAIST and the Republic of Korea Army (ROKA) have agreed to share their research and development capabilities in industry, academia, and research. 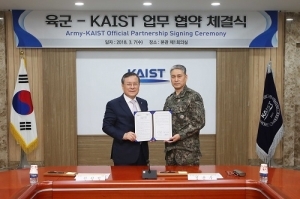 ·[News] 2018 KAIST Career Fair: What Awaits After Graduation? Earlier this month, the 2018 First Half-Year KAIST · POSTECH · UNIST Career Fair was hosted on campus. 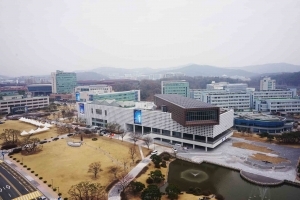 It took place over three days from March 6 to March 8 in the Lyu Keun-chul Sports Complex (N3) from 10 a.m. to 5 p.m.
KAIST revealed that it has been selected as the host site for the Times Higher Education (THE) Innovation & Impact Summit 2019. Professor Hoi-Jun Yoo of the School of Electrical Engineering and his research team developed an artificial intelligence (AI) semiconductor that efficiently employs deep learning by applying variable artificial neural network technology. A joint research team led by Professor Sukbok Chang and Professor Mu-hyun Baik from the Department of Chemistry achieved a breakthrough — coming up with a new strategy for synthesizing this ring-shaped molecule from readily available hydrocarbons in nature. 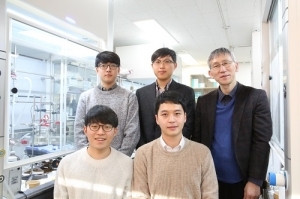 A research team from the School of Energy and Chemical Engineering at Ulsan National Institute of Science and Technology (UNIST) led by Sang-Young Lee has developed a battery that promises exceptional safety and flexibility. While there is yet little understood about autoimmune diseases, a Yale University research team has managed to extend our insight a little further. Through experimentation with samples of mice, the team was able to demonstrate how the gut bacteria Enterococcus gallinarum could be translocated into other organs including the liver, spleen, and lymph nodes. A research team at the University of Illinois at Urbana-Champaign has engineered the tobacco plant to conserve water without compromising yield for the first time. On March 19, the opening ceremony for the newly completed Academic Cultural Complex (E9) was held. With over 34.9 billion KRW invested in the renovation, the old library building has been reborn with a new exterior and interior, as well as an appended Cultural Building. 800 million KRW in seven months. In Korea, where the position of a doctor holds high prestige in society, it is pretty unbelievable for a doctor to be in debt. In the winter of 2013, however, Dr. Cook-Jong Lee of Ajou University Hospital found himself 800 million KRW in debt after paying for multiple helicopter transportation fees for emergency patients in unreachable areas.